Lorenzo Lawncare & Landscaping, Inc.
Limited Edition Lawn Care, Inc. Comment: Would like to have my lawn rolled. Comment: My parents have had house for 20 plus years. I know it always worked for them. I'm unsure how to turn on pump system from down by lake that pulls the lake water. Have sprickets in shed. My sister put PVC sleave around hidden sprickets for easier find but may need metal detector again to find them. Pump box got wind torn up. Like to get quote to see if affordable. Comment: I need my yard aerated and what would be the price. Garrelts Plumbing, Heating & Water Treatment, Inc.
S & S Garden Center, Inc.
McHenry Lawn Care Services are rated 4.69 out of 5 based on 2,499 reviews of 39 pros. 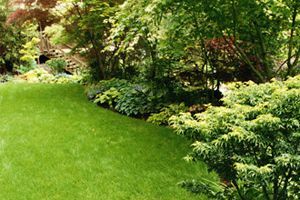 Not Looking for Lawn & Garden Care Contractors in McHenry, IL?